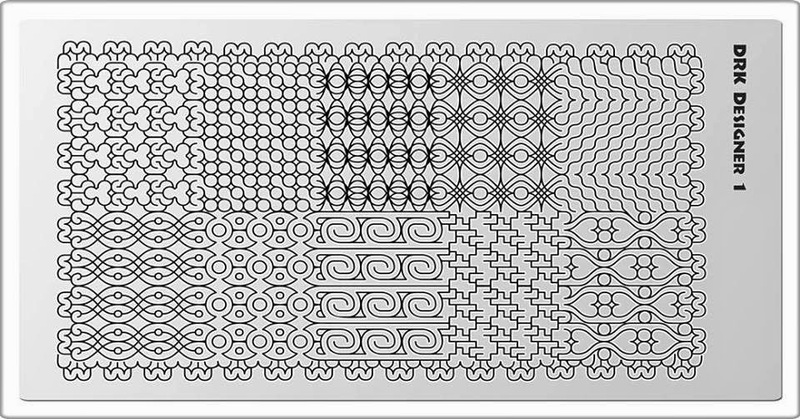 Lacquer Lockdown: Hot Off The Stamping Press: DRK Nails Nail Art Stamping Plates Are Back!!!!! 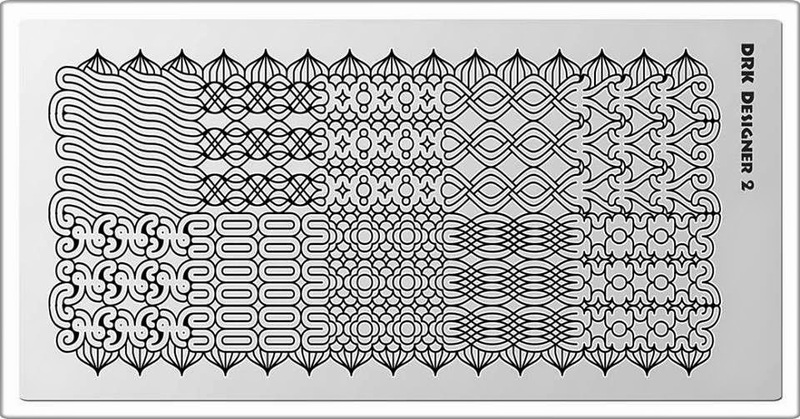 Hot Off The Stamping Press: DRK Nails Nail Art Stamping Plates Are Back!!!!! Yes it is raining plates once again! I feel like we definitely hit surges and waves of plate releases across the seasons and right now we are definitely in a surge. The plates are releasing so frequently that it's difficult to keep up and even more difficult to decide which plates will be the ones worth your investment and time. Hopefully I can shed some insight on these matters for you. I certainly try to keep the reviews and posts coming! In any case I'm excited to spread the word that DRK plates, a Brazilian indie brand that has been on the stamping scene for a few years, is finally making a comeback and boy oh boy are they doing it in style. I'm going to give you a moment to drool. I know I did when I saw these. They are unbelievable right! Totally up the alley of anyone who loves leadlighting and totally original. Kudos DRK for making a comeback like a BOSS! Please, review them! I love your creative ideas and your nails, wanna see those babies on your paws! I would like to see your mani and review as the image of the plate did not impressed me much at first glance. Oh wow! I think I need these! They have released if you want them :) I will be posting a review shortly !